Just because a building contractor built it doesn’t mean that it’s structurally sound. 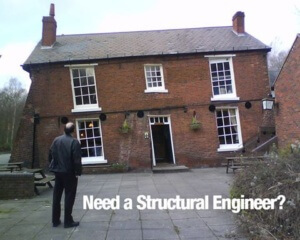 That’s why we have structural engineers! Engineers know the science and math behind structures. They’re trained to see beyond the exterior of the building. A structural inspection by a trained and licensed engineer focuses on the structural condition of the home: the foundation, the floor structure, the walls, the ceiling and the roof. The purpose of a structural inspection is to define probable load-paths from the roof to the ground and to make sure these load-paths and the age of time have not caused any form of post-construction building distortion. This can only be determined by mapping out the interior floor plans at each level and performing floor level surveys; mapping out the roof and ceiling framing; mapping out the foundation and floor framing, and documenting the locations of physical damage such as drywall, plaster and brick veneer cracking. Once the engineer or inspector collects this information during the inspection, he takes it back to the office to generate scaled drawings and plans for the engineer to study and draw conclusions regarding the performance of the home and the causes of any post construction building distortion. The results of the evaluation are presented in a type written report complete with photographs and CAD drawings and other pertinent information. 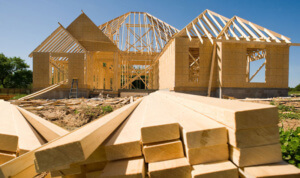 Are You Concerned About the Safety or Durability of a House, Building or Other Structure You Own or Plan to Purchase? 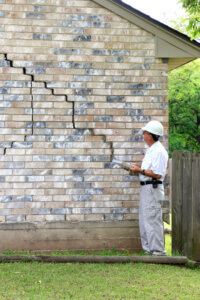 A structural inspection is paramount if you’re buying a large home or have discovered building issues. Those issues need to be properly evaluated to determine their severity. 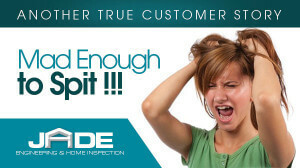 Call JADE Engineering and Home Inspections for a consultation. We’ve been in the business since 1987, making us one of the oldest Structural Engineering services in the state of Alabama. Call 256-318-0982 to set up a consultation.